Last year I shared my thoughts on the Pass Labs XP-10 Line Stage. 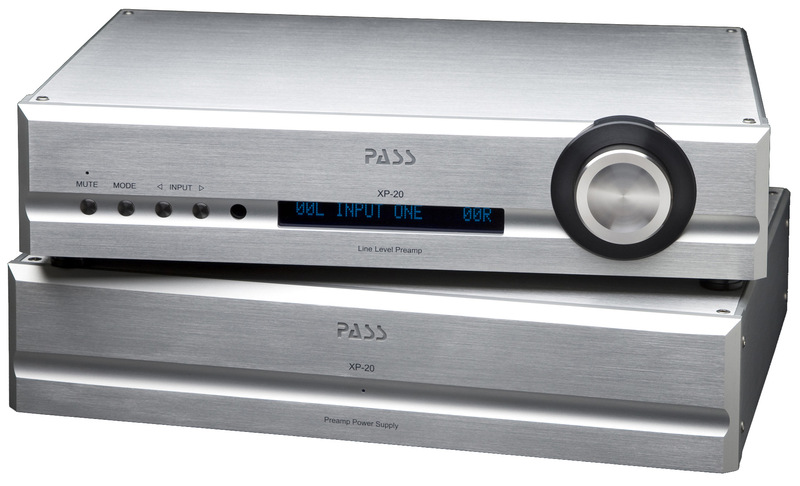 At that time, though I held that as an entry level linestage in the Pass Labs line, it delivered truly outstanding performance. In fact, in certain parameters, I preferred the XP-10 over my reference Conrad Johnson CT-5 Composite Triode preamplifier. Several months after my review was published, I was approached by Pass Labs with an opportunity to offer a fresh look at the (then) top-of-the-line 2-chassis XP-20 line stage. As the XP-20 had already been reviewed on our pages by one of my esteemed colleagues, I would like to offer a fresh perspective within the context of upgrading from the XP-10. Indeed, I was intrigued, and enthusiastically accepted the offer. Since reviewing the XP-10, I have been utilizing it as one of the reference preamplifiers in my arsenal along with my superb Conrad Johnson CT-5 vacuum tube linestage. My view of the contrasts between these two pieces of equipment has not altered nor faltered over the past year. Indeed, my preference is such that CT-5 sounds best in many instances involving rock music or highly dynamic jazz works, while the more expressive XP-10 gets the nod when I’m in the mood for intimate folk and acoustic, as well as jazz. I know what most of you are thinking, a solid state linestage outdoing an all-tube linestage in expression? Well, in this case, the answer most of the time is a resounding, yes. So then, in comes the Pass Labs XP-20. 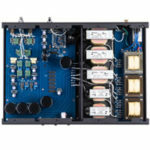 The Pass Labs XP-20 is a two-chassis linestage, one of which houses a dedicated power supply. The XP-20’s main control chassis can easily be mistaken for the XP-10 as they are so similar. The XP-20 shares the same wonderfully simple, elegant, and intuitive ergonomics and easy-to-read display of the XP-10; so too was the equally well laid out remote control. Similar to the XP-10, there are five inputs, either single-ended or balanced. One very important addition to the set of features is that the XP-20 offers 3 line outputs, 1 balanced and 2 single-ended. 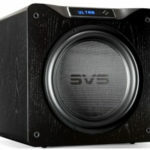 This means that you have connectivity to run single-ended to a power amplifier as well as to active subwoofers, for instance. This proved an important feature for me since my use of the XP-10 had been restricted to power amplifiers that offered balanced inputs, but I also wanted to utilize my Martin Logan dedicated subwoofers. On the input side of the equation, the XP-20 has a generous complement of 2 balanced inputs and 3 single-ended inputs. This is certainly more than most would ever utilize in a two-channel system. The Pass Labs XP-20 came to my home sometime in October. 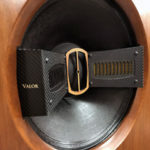 It arrived at a time when I was deep into the evaluation process of the Zesto Audio Andros PS-1 phono stage, beginning the evaluation process of the highly refined Eficion F300 loudspeakers, and wrapping up my review of the revelatory Merrill-Williams R.E.A.L. 101 turntable. Indeed, a time of change; major change. To be honest, my expectations were fairly modest. After all, on the surface the XP-20 appears to be simply a more functionally rich linestage than the XP-10, and thanks to the second chassis dedicated to the power supply, I expected improved dynamic contrasting, bass, and subtle sonic refinement due to improved circuit layout opportunities. I therefore simply started out with inserting the XP-20 into my main system. 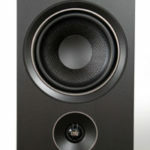 I utilized the TRS Audio Pure Note Designer Edition speaker cables as well as the companion balanced and single-ended interconnects. Power cords used throughout were the superb Aural Symphonics MagicGem v2t. This configuration had proven to be the ideal combination for the Pass Labs XP-10, so I assumed that such would hold true with the XP-20. After just an overnight warm-up, I fired up the rest of the system as is typical on Sunday afternoon. In this first of many listening sessions, the XP-20 quickly exhibited the sonic neutrality that Pass Labs amplifiers are famous for. In a way, this was no big surprise. What was surprising however was the fact that with hardly any play time at all, the XP-20 was already clearly and decisively demonstrating its superiority over the XP-10 in the lowest registers as well as image specificity. An exciting start for a solid-state product that was literally right out of the box! After listening to a few choice LP’s, I quickly came to the conclusion that the XP-20 was more, perhaps much more than a high horsepower XP-10. After thoroughly enjoying my first session, I ended the afternoon cueing up my favorite break-in CD and letting it play, amplifier and subwoofers powered down, for the same 2-week period as I did originally with the XP-10. Although, to be honest, I wasn’t entirely sure it was necessary considering the qualities I had already heard in the first session. The only real hint of needing break-in came in the form of a somewhat overripe bass and slightly hazy soundstage. My first extended listening session with the XP-20 was all about vinyl. In this session I utilized the Martin Logan CLS 2z a,ccompanied by their dedicated Martin Logan Depth subwoofers. For purposes of consistency, I had decided to set aside the superb Eficion F300 for the time being. Excited with the new superb vinyl playback system in the room, I listened to many of my favorite long-standing tools-of-the-trade LPs to get right to the nitty gritty of what the XP-20 was all about. This session included the MFSL pressing of Rickie Lee Jones’s self-titled LP, Pat Metheny with Christian McBride and Antonio Sanchez Day Trip/Tokyo Day Trip Live on the Nonesuch label, Ronnie Lane and Pete Townsend’s Rough Mix, Brand X Do they Hurt?, Janis Ian’s Breaking Silence, Gentle Giant’s original presses of Octopus and In a Glass House, and Peter Gabriel’s superbly recorded Scratch my Back. How do I even begin to describe the change between the XP-10 and XP-20? The word “more” is so overused but so apropos. Whereas the XP-10 demonstrated pristine high frequency clarity on cymbals and percussion, the XP-20 did the same but also rendered these instruments with greater clarity, detail, texture, and more convincing imagery within a soundspace. Acoustic guitar and male vocal came through not simply as well-recorded, but as highly textured and tonally rich. The XP-20’s ability to resolve so much information that used to exist well-hidden in the grunge floor, finally enabled my new analog playback system to fully realize the riches retrieved from the grooves with great impact, detail, and top-to-bottom consistency. I finally felt that the talents of Merrill-Williams R.E.A.L. 101 and the Zesto Audio Andros PS-1 were fully realized. This was indeed an exciting outcome. The same can be said regarding the XP-20’s dynamic agility in the bass region. Whereas the XP-10 demonstrated a certain politeness, the XP-20 comes through with full force when called upon to do so. In fact, even my much-loved Melos Reference 2-chassis linestage preamp did not demonstrate the sort of iron-fisted control and authority that I was hearing from this XP-20, though I always held the Melos as the reference standard in that respect. To be sure, the Pass Labs XP-20 is no lightweight in this regard. As the review session continued to evolve, so too came the opportunities for the Pass Labs XP-20 to shine and differentiate itself further from its smaller XP-10 sibling. Sometime in December, the Martin Logan CLS 2z’s were swapped out in favor of the superbly refined and detailed Eficion F300, and the XP-20 was once again swapped in permanently to the reference system. This turned out to be one of those magical changes that I could never have imagined possible, wherein the combination of F300/XP-20/X350.5 took the system to a level of resolution and musicality that was completely unexpected. Indeed, with the assistance of the supreme detail, transparency, and imaging prowess of the Eficion F300, the XP-20 demonstrated that it was indeed capable of creating a much more richly developed soundspace than either the XP-10 or Conrad Johnson CT-5 could muster. In fact, I could unequivocally state that they were not even close. As likeable and endearing the sound of the CT-5 continued to be, the XP-20 portrayed a deeper sense of the musical performance and clearly out-classed its smaller sibling and the reference CT-5 in conveying not only a convincing and detailed image, but also subtle shadings and textures that simply were not present otherwise. After the holidays and the CES, I once again settled in to listen to the system I had assembled and regardless of the riches I had had the pleasure of hearing in Las Vegas, especially in the Pass Labs Room, my impressions of this system held firm. However, there was still one more change to come that would once again raise the bar even further. Since the review has yet to be written about these cables, all I can say at this time is that the insertion of the Enklein family of cables to this system proved to be a bit of alchemy that enabled further refinement and emphasized even further the superior dynamics, bass response, and lower level resolution of the XP-20. In fact, the system now demonstrates an almost master-tape-like continuousness that is truly amazing to capture in a system that is admittedly modest by ultra high-end audio standards. Acoustic guitar and drums have richness in tone and greater skin on their bones. Female and male vocals alike have more body and sense of reality than before. Up until this point I have not even mentioned the jet black backgrounds due to the vanishingly low noise of the XP-20. Indeed it is quiet, but you are not conscious of it when listening to the music. You are simply just more aware of the recorded space and the music filling that space. The XP-20 is one very special preamplifier. It manages to capture the richness and essence of music that would be the envy of any vacuum tube design I have had the pleasure of hearing. In fact, it demonstrates more soul and “life” than its smaller sibling and other tube linestages that I have had the pleasure of using over the years. As such, there is no question in my mind that in the XP-20, Wayne Coburn, designer of the XP Series of preamplifiers, reveals himself as one of the true masters in the art of amplifying low-level signal. Kudos to Wayne and to Pass Labs, the XP-20 is a must-audition and highly recommended. How was the XP-20 in terms of being smooth and easy on the ears compared to the CT-5? Hi Ray: An absolutely brilliant review. Nicely done. I’m curious, how would you feel it compares to the ML No.326s ?